WEDNESDAY, July 12, 2017 (HealthDay News) -- Mistakes are much more likely to occur with handwritten prescriptions for opioid painkillers than with electronic ones, a new study finds. Researchers analyzed 510 prescriptions for opioids -- such as oxycodone (Oxycontin, Percocet) and hydrocodone (Vicoprofen) -- filled at a Johns Hopkins Medicine outpatient pharmacy. The investigators found that 42 percent of the prescriptions contained an error. 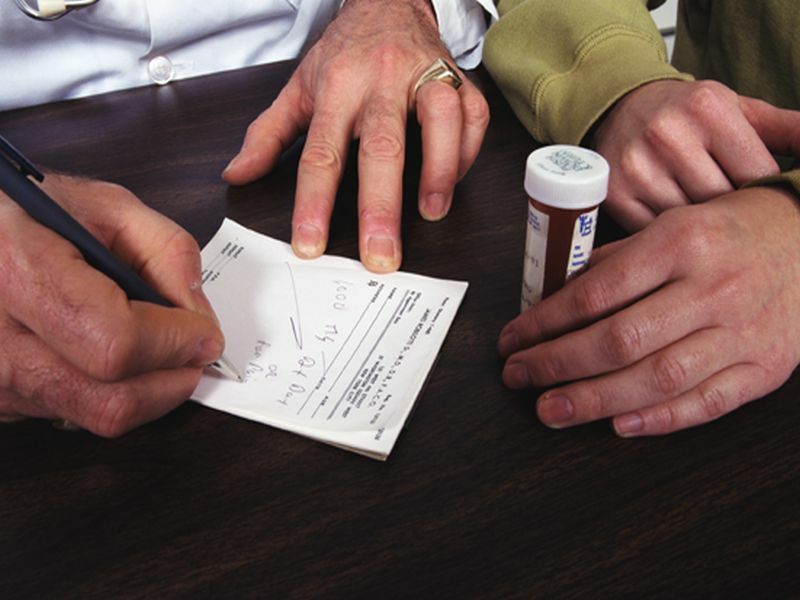 Rates of failure to comply with federal opioid prescription rules were similar for handwritten and electronic prescriptions, the findings showed. Nearly half of the prescriptions (47 percent) were handwritten, and 89 percent of these did not meet "best practice" guidelines or were missing at least two forms of patient identification information. None of the prescriptions produced by the hospital's electronic prescribing system had either of these errors. Overall, 92 percent of handwritten prescriptions had an error, didn't meet ideal practice standards, or failed to comply with federal opioid prescription rules, according to the report. "There are the normal legibility issues you would suspect with a handwritten prescription, but we also commonly found things like missing patient identification information and errors in abbreviations," said study lead author Dr. Mark Bicket. He is an assistant professor of anesthesiology and critical care medicine at Johns Hopkins. But errors in prescriptions rarely result in patients getting the wrong drug or dosage, he explained. That's because there are other safety measures, such as pharmacists double-checking the prescription information. However, errors in prescriptions do increase the risk of mistakes. "What we hope our results do is get more practitioners to adopt electronic prescribing systems because we have a duty to practice in a way that has the lowest chance of harm to our patients," Bicket said in a Hopkins news release. The study was published in The Journal of Opioid Management.